Designed for quick & easy use. Simply place trousers over the non-slip bar. Space saving storage for trousers, jeans etc. Smart 'Grippy' plastic coating ensures trousers won't fall off easily. Robust and durable. For use with delicate and heavy duty fabrics. Stylish look in chrome and black. 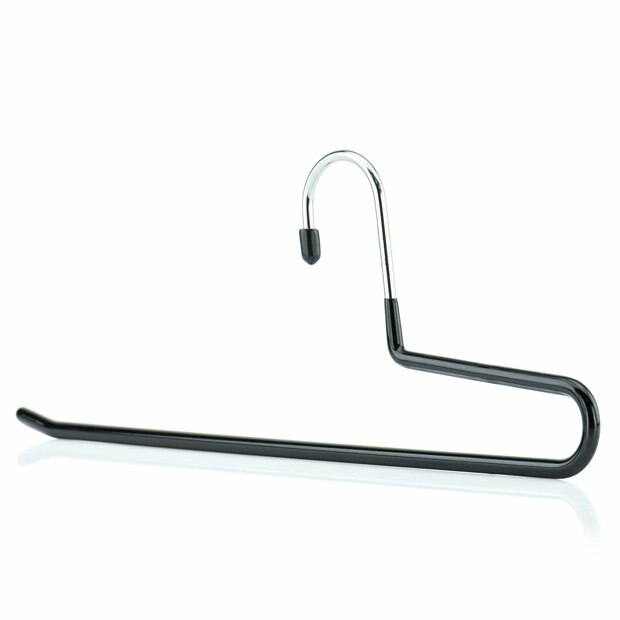 Quality non-slip hangers for use with all trousers. Excellent where upright hanging space is limited.